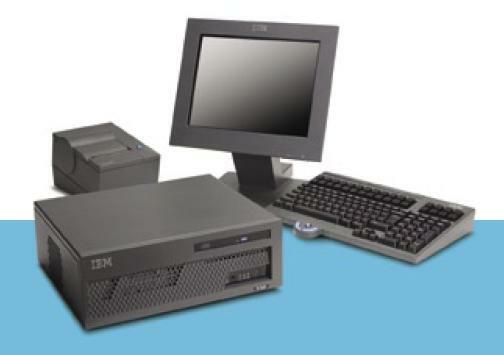 The IBM SurePOS 300 Series Model E3H is identical to Model 33H except Model E3H comes preloaded with the Windows Embedded for Point of Service Operating System. It is the thick client model of the SurePOS 300. It includes everything listed for the model 33H and also has a 40G Serial ATA Hard drive.